Ann Linton leaves her family in Berkshire and sets up camp in her father’s house when he is taken into a nursing home in distant Lichfield. As she shares his last weeks she meets David Fielding, and the love they share brings her feelings into sharp focus. Deeply felt, beautifully controlled, The Road to Lichfield is a subtle exploration of memory and identity, of chance and consequence, of the intricate weave of generations across a past never fully known, and a future never fully anticipated. 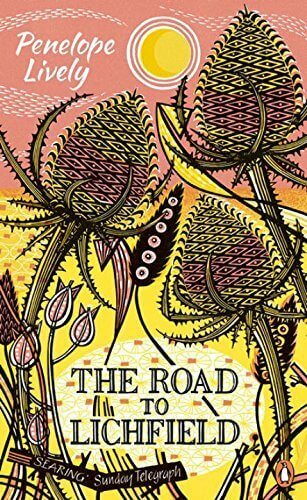 The Road to Lichfield was short-listed for the Booker Prize in 1977. "A searing study of the peculiar state of being in love . . . there are few contemporary novelists to match her on this subject." "An ingeniously constructed tale of one of those crucial periods in and individual’s life when past and present reach a turning-point. The story slowly but decisively established its hold on the reader." "An immensely readable novel by one of the best children’s writers." "Time and change is a pattern that recurs constantly in the story of Anne visiting her dying father and loving someone else’s husband. Penelope Lively, in her first novel for adults, shows her awareness of the relations between individuals: husbands, lovers, children and parents."